Success in EZ Horse Betting comes down to one thing. You must pick the winners in horse racing. If you want to cash a bet, the horse you choose must win the race. It is logical then that many handicappers approach the process from a standpoint of finding the horses most likely to win. But what if we told you that you could also achieve massive success by finding the horses most likely to lose? Here’s a brief explanation of reverse handicapping and how you can use it for profit. When you engage in the regular process of handicapping, we always recommend that you begin by assessing speed, class, form, and pace. These four factors will often reveal which horses in a race are most suited to produce a winning effort. The traditional method of handicapping would dictate that you identify the horses which are superior in all factors and then select your winner from those who qualify. In reverse handicapping you take the opposite approach. You identify the horses which do not meet these conditions and then remove them from contention. Once you have taken the ill-prepared horses out, you select your winner from those that remain. It is sometimes much easier to identify potential losers that it is to spot potential winners. The reason for this is that many horses are entered each day in races they have little chance of winning. This can be because the racing secretary has pressured horsemen to help fill a race with only a few entries. It can be because an owner is impatient and wants to see his or her horse run. Whatever the reason, as many as five or six horses in a ten horse field have very little chance to win. To reverse handicap speed you simply find the horses with the lowest speed figures. Speed figures are published in the Daily Racing Form and also by Equibase. Sometimes, a horse’s best speed figure will be 20 points or lower than that of other horses in the race. If a horse has never ran within 20 points of another horse in the race, it is unlikely that he will do so today. First, find the horse with the best speed figure. Circle that figure on your PPs. Let’s say that the top horse in the race has a lifetime best speed figure of 100. Look at all the other horses in the race and remove from contention any horse that has never ran better than an 80. It is not likely a horse can improve its lifetime best speed figure by 20 points. To reverse handicap class you first have to determine the class level of the race. This information is given at the very top of the past performances. For an example we will say that the race today is a $15,000 Claiming event. You will then find all horses in the race who have never raced at the $15,000 level. If they have previously won at the $10,000 level by two or three lengths, leave them in contention. If they have never won for $10,000, eliminate them from contention. Class is a big factor in horse racing. It is equivalent to skill level. You want to avoid horses which have proven they do not have the talent possessed bu their rivals today. Form relates to the physical condition of horses in a race. To reverse handicap this factor you must look at the past performances to determine which horses have fared poorly in their recent races. 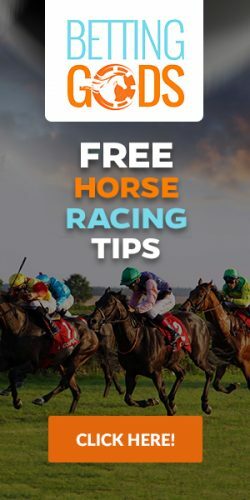 If a horse has not finished 5th or better in any of its previous three races, remove this horse from contention unless it is taking a big drop in class. Some horses are just destined to lose. Form will often reveal these horses faster than any other factor. It is very hard to support any horse which has a string of poor finishes on its past performances. Sometimes you can make an excuse for a poor outing. Other times, you just have to call it what it is. The horse has no talent for horse racing. This is the most difficult of the basic factors to reverse handicap. Perhaps the best way to go about it would be to find horses that have not been within three lengths of the leader in any of their most recent races. Some horses have a running style that encourages them to stay way behind the pack, but these types of horses do not win their fair share of races. You want to see that a horse can at least be within striking distance. If a horse has never been able to get within three lengths of the leader in its recent races, it may simply be lacing the talent necessary to win. It is advised that you be somewhat subjective in this category because the pace of a race can be tricky to assess. Once you finish reverse handicapping and removing all of the horses which are not contenders, you will be left with three or four horses to choose from. Pick your winner from these which remain and then sign up for an account with one of our recommended racebooks. It takes just a few minutes and you can receive a nice welcome bonus, free past performances, and more when you register and make your first deposit.